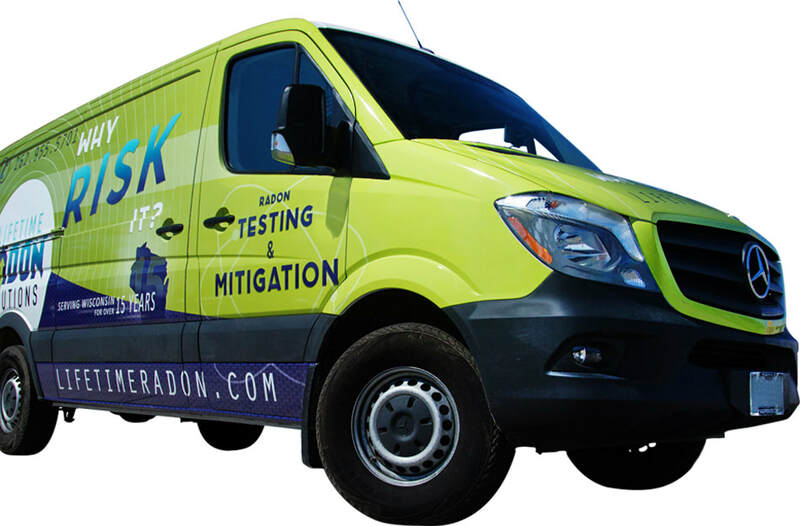 Lifetime Radon Mitigation Milwaukee is one of the most experienced and well-respected radon mitigation and radon testing companies in the Greater Milwaukee area. Lifetime Radon was founded in Delafield, Wisconsin in 1998 and continues to grow exponentially each and every year. The Milwaukee radon mitigation team has found that although most people believe radon is just an issue found in areas further outside of the city like Waukesha, Washington, and Walworth Counties, that the radon mitigation system installations in Milwaukee have gone up dramatically during the last 10 years. Lifetime Radon specializes in residential radon testing, residential radon mitigation and commercial radon mitigation services as well. In addition to residential and commercial radon mitigation in Milwaukee, our team of Milwaukee installers also specialize in VOC mitigation and vapor intrusion mitigation systems. The need for radon mitigation services in Milwaukee is greater than ever before. With more information available about the dangers of radon gas exposure on the internet and real-estate professionals bringing these important issues to light, more homeowners are educated about the dangers of exposure and their choices throughout the process. In general terms, radon mitigation systems are venting systems. Their main purpose is to depressurize the soil beneath the home in order to restrict and reroute the radon gas from entering the home in the first place. Radon mitigation systems installed in Milwaukee generally use sub-slab depressurization, drain-tile depressurization, crawlspace depressurization and block-wall depressurization to properly mitigate the structures. These methods are preferred because of the the types of construction in the Greater Milwaukee area as well as their effectiveness. A less common way of mitigating radon gas from your home or commercial building is through the use of an air exchange system. This method is generally not preferred among radon mitigation professionals in Milwaukee because it doesn't address the radon issue until the radon gas is already in the living envelope. Furthermore, due to weather fluctuations in the Milwaukee area, it can be a major expense to constantly circulate and replace indoor air while either heating or cooling your home. Radon testing in Milwaukee is extremely important. As mentioned above, there is a common misconception that if you live in Milwaukee, there is little chance that you will have a radon issue. The realty is, according to the EPA Radon Map, that all of Wisconsin is listed as being either a moderate or high risk for elevated indoor levels of radon gas. Furthermore, the EPA goes on to say that even if they do not list your area as a potential risk, every homeowner should test their home for elevated levels of radon gas because radon testing is the only sure way to know if you have a radon issue (https://www.epa.gov/radon). In regards to radon testing in Milwaukee, Lifetime Radon offers three options: short-term electronic monitor radon testing, long-term alpha track radon testing, and DIY charcoal radon testing kits. Who is Lifetime Radon Mitigation Milwaukee? Lifetime Radon Mitigation Milwaukee is one of the most experienced and highly rated radon mitigation companies in Wisconsin. With more than 20 years in business and over 30 years of combined radon mitigation experience among our technicians, there are very few situations we have not come across first hand. Originally founded in Delafield, WI our family-owned and operated organization is growing each and every year. We have certified technicians located all over Wisconsin including Milwaukee, Madison and Appleton. Our technicians are certified through the American Association of Radon Science Technologists (AARST) and the National Radon Proficiency Program (NRPP). We pride ourselves on our workmanship and the warranties that surround it. As our name implies, we offer a lifetime guarantee on our workmanship, and the best fan warranty in the business. Moreover, our strategic approach and the pricing associated with our processes are paramount for our success. Over the last 20 years, we have built our business by finding unique ways to run radon mitigation systems and protect the look and feel of our customers homes and businesses. Most importantly, we treat our customers homes as if they were our own-always tidying up after ourselves and always looking for the best way to complete the job. Our core company values include community and customer service, character and integrity, work ethic and attention to detail, and clean and orderly entry and pickup. For more information about our background, values or credentials please do not hesitate to call! What Services Does Lifetime Radon Mitigation Milwaukee Provide? Lifetime Radon Mitigation Milwaukee provides exceptional service in the areas of radon mitigation, radon testing, VOC mitigation, vapor intrusion mitigation, sump pump repair and replacement and radon resistant new construction systems. Our radon mitigation technicians are properly trained, certified and insured. Furthermore, our quality control processes ensure your radon mitigation system or service not only meet the standards set forth by the appropriate governing board (dependent on service) but also by our own stringent quality standards in regard to aesthetics, workmanship, and proper functionality. Lifetime Radon has been offering radon mitigation and radon testing services in Milwaukee for more than 20 years. Our team works with countless real-estate professionals, home inspectors, new construction builders and other tradesman to ensure your service with our organization is seamless. Each one of our services includes some of the best warranties in the business. From our 7-year radon fan warranty (most are 3-5 years) to our lifetime workmanship guarantee, our customer service and warranty departments will keep your home mitigated when others lack the infrastructure or manpower to do so! Where Does Lifetime Radon Mitigation Milwaukee Offer Services? Lifetime Radon Mitigation Milwaukee services all of Milwaukee County as well as Ozaukee County, Racine County, Waukesha County and Washington County. Our Parent organization, Lifetime Radon Solutions, Inc., services the entire state of Wisconsin for both residential radon mitigation, residential radon testing and new construction radon mitigation. Furthermore, our commercial division services the entire United States for both commercial radon mitigation system installation and commercial VOC mitigation or vapor intrusion mitigation. Our Milwaukee branch has found that radon mitigation and radon testing needs are more prevalent in Milwaukee than ever before. If you are concerned about your indoor air quality, and you live in the Milwaukee area, we can help. Perhaps what most of our clients find value in is that whether or not they are moving across town or across the entire state, we have a team of radon mitigation contractors that can help you out! Why Should You Consider Mitigating Your Property? The most important reason to consider radon testing, or ultimately radon mitigation, is that prolonged exposure to elevated levels of radon gas make up the #1 cause of lung cancer in non-smokers. Furthermore, children are at a high risk for radon exposure because their respiratory rates are greater than adults and their lung tissue is less developed and more fragile. In addition to the major health concerns, radon mitigation systems also make some of the best moisture reduction systems for homes or commercial buildings that struggle with humid and heavy indoor air. In fact, it is said that radon mitigation systems remove approximately 2 to 4-tons of moisture from beneath an average residential footprint, annually. Therefore, not only do radon mitigation systems help improve your indoor air quality through radon reduction, but their moisture reduction tendencies can also help reduce the growth of moisture driven molds, mildews and other moisture related nuisances.